New General Hospital (GH) spoilers tease that Claudette Bolland (Bree Williamson) will do whatever she has to in order to save her own neck. Claudette will likely double-down on her story about having a daughter when she invites Griffin Munro (Matt Cohen) to stop by her hotel room. 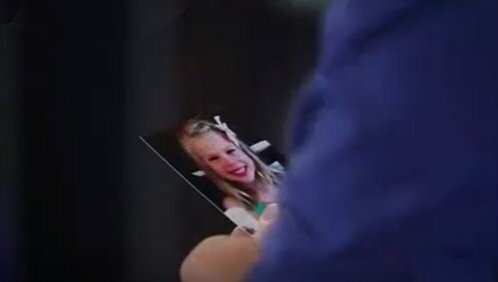 Claudette just told Nathan West (Ryan Paevey) about her daughter Charlotte and then dropped the bombshell that the little girl is his too. Nathan seemed skeptical – who wouldn’t be given Claudette’s shady history? But Claudette assured him the kid is his, but we know she can’t be trusted. As Nathan breaks the news to Maxie Jones (Kirsten Storms) that he reproduced with his devil spawn ex-wife, Claudette makes a second call about the kid. Maxie wonders if this is another lie. The second call is to Griffin Munro (Matt Cohen). Claudette demands that he come see her ASAP. Claudette could be giving Griffin a heads up about the kid she has with Nathan. Or she could be warming up to tell Griffin that the kid is his instead. Why the double baby daddy drama? Claudette could be looking for an extra layer of protection from her scary ex-boyfriend. Some have suggested that Claudette’s scary ex-boyfriend could be Valentin Cassadine (James Patrick Stuart)! Claudette could also have lied to Nathan because she wants his protection but wants Griffin to know he’s the father of her child. Clearly, neither Griffin nor Nathan can trust Claudette and both will want to know if they’re the father of her daughter. There’s also the lingering question of whether there’s a kid at all. After all, Nathan has only seen a photo. That could be anyone – it doesn’t mean Claudette has a child. What is believable, though, is the part of her tall tale about a scary ex-boyfriend. Claudette wouldn’t admit to engaging in criminal activities with her violent ex unless she was truly scared – since Nathan is a cop and could bust her for doing bad things. Claudette said she met the ex-boyfriend at some point after Nathan shot Griffin and dumped her. The yet unnamed ex is a fixer for powerful people that now owe him favors and he can use the influence to find her. That’s why Claudette has been off the grid. But considering how dirty that Claudette has done both Griffin and Nathan, will either of them protect her from what’s coming her way? If she did her dangerous ex as dirty as she did Griffin and Nathan, maybe Claudette deserves the trouble heading to Port Charles. Claudette has to know neither would care if her sorry skin gets nailed to the wall but by dragging a kid into the mix, she’s guaranteed some protection. But is this kid for real or just another of her lies? And if Charlotte does exist, is Nathan really the baby daddy or is the defrocked priest now a “father” biologically as well as in the church? Who do you think her ex is and does he have mob connections that might tie back to Port Charles? Could Claudette’s fixer ex-BF be someone that Julian Jerome (William deVry) or Sonny Corinthos (Maurice Benard) knows of? Share your comments below and check back with CDL often for all the latest General Hospital spoilers and news. If Claudette HAS a Child, Who Is The Father? General Hospital Spoilers: When Will Lulu Get Pregnant and Whose Baby Will it Be? General Hospital (GH) Spoilers: Ava Tricks Sonny in Avery Custody Court Battle – Makes Love to Paul in Gratitude? General Hospital (GH) Spoilers: Is Vanessa Marcil Returning As Brenda Barrett – Just In Time For Sonny And Carly Break-Up? 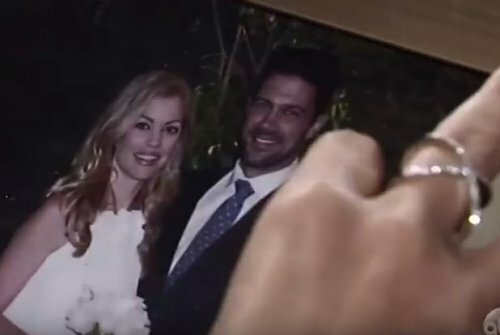 ‘General Hospital’ Spoilers: Franco Discovers Long-Hidden Secret from Liz’s Past – Heather Knows Webber Family Dirty Laundry?